Enjoy your Sunday night football with these chicken tacos. The pumpkin sauce adds fun fall flavor. Mix the cumin, red pepper, paprika and garlic powder together in a small bowl. Spread the spice blend on chicken and bake for 15 minutes or until chicken is done. While chicken is cooking, mix together all ingredients for pumpkin sauce and set aside. Cut one chicken breast into small cubes and place onto wrap. 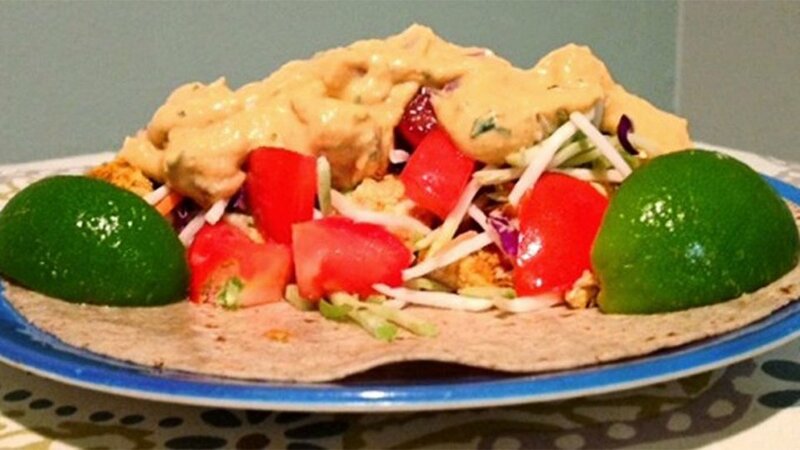 Top each wrap with diced tomatoes, shredded cabbage, and pumpkin sauce. Serve with lime wedge and enjoy!